Comments: Nellie Bosworth (Nee: Bosworth) | Westborough MA USA | 1901-1920 | Comments: Unknown lady on her wedding day. 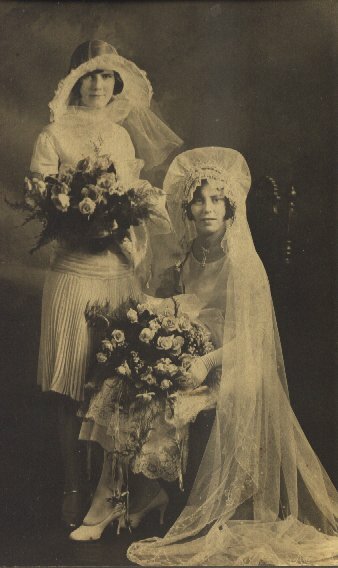 Her Matron of Honor is Nellie or Nell Bosworth my Great Aunt. She is the daughter of Delia Dudley Bosworth and George Arthur Bosworth of Westborough MA.